This modestly furnished holiday home with traditional elements is located in a small village near Rijeka. This large property is a perfect place for the little ones to play. This modestly furnished holiday home with traditional elements is located in a small village near Rijeka. This large property is a perfect place for the little ones to play. There are numerous leisure time activities in this region, such as cycling, walking, paragliding and mountain climbing. Do visit Grobnik, which is known for its Frankopan Castle and the automobile racing tracks of Grobnik located nearby. 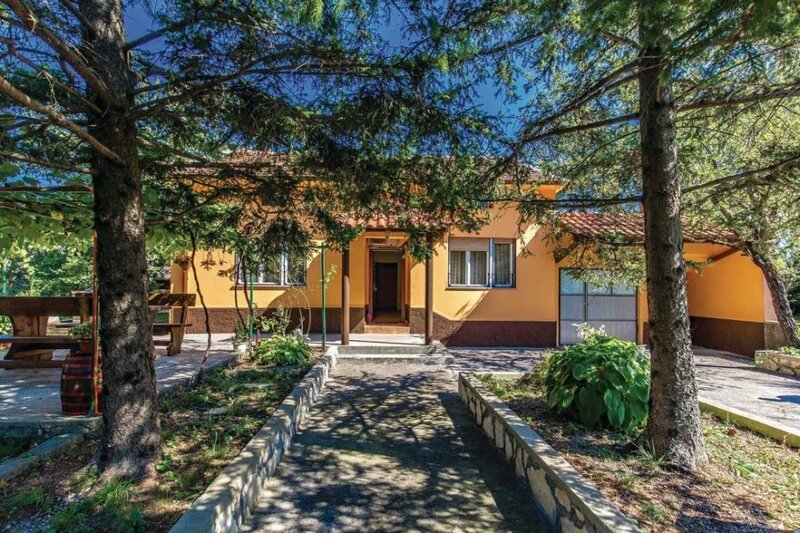 The friendly landlord will provide information regarding the beautiful beaches in the Bay of Kvarner, for example, the beaches in Sipar and Medveja on the Riviera of Opatija. This villa is made from brick or stone and was originally built in 1971 and refurbished in 2013. The agent has rated it as a three star property so it is a well-kept villa, equipped with standard furniture. It is also good value for money. The villaIt is located in Soboli, only 5km from Rijeka. It is set in a good location, 6km away from a stone and pebble beach. There's also a restaurant 1.3km away.